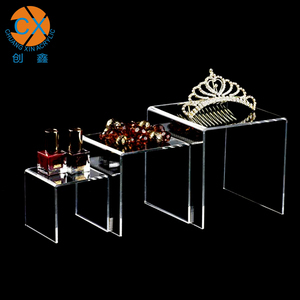 Product name Custom table transparent acrylic name card holder display stand Item NO. Shipping: 1. Lead time : normally in 5~10 days after deposit received . 3. Shipping port: Guangzhou or Shenzhen , China 4. Discounts : We offer discount for big quantity. 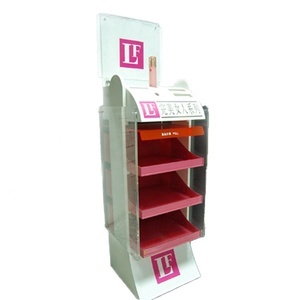 ,Ltd , founded in 1998 , is a leading manufacturer in acrylic & wooden menu holder industry with more than 13 years production experience in China. With acrylic workshop ,wood craft workshop,metal process workshop ,spraying&printing room ,mould injection R&D team, complete quality control system, our factory provide OEM and ODM service for many global partners. 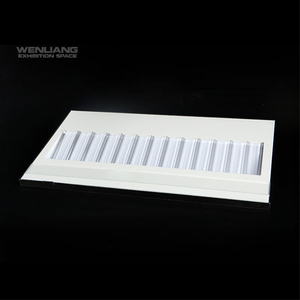 We provide various kinds of acrylic menu holder, wood sign holder in all kind of shapes and sizes. 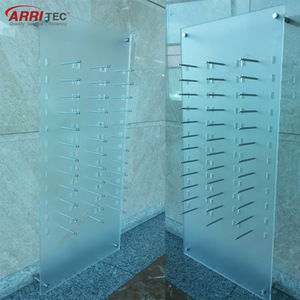 Acrylic led display cabinet with full vision exhibition showcase custom plexiglass display shelf/rack /stand product acrylic display cabinet Material: Acrylic, PVC, ABS, etc. Size: 18 inches high, 9 inches wide, customized made as per your special request plastic display for retail Features: 1. 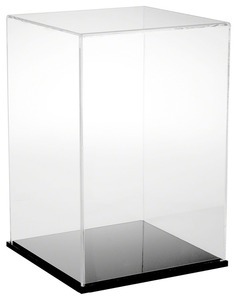 With revolving base, metal or plastic Hooks, and logo on top and sides. 2. With colorful LED lights, and remote control 3. 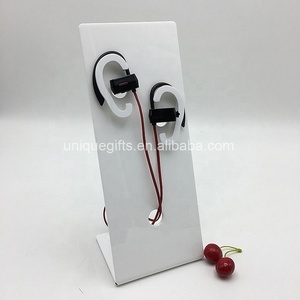 Widely used, ideal for displaying m obile phone accessories etc. Packing Each item packing in protective membrane and pearl brocade. 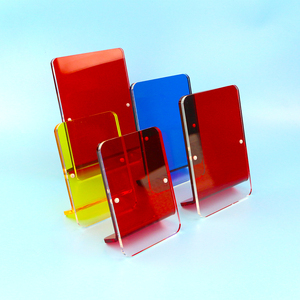 6.Acrylic products are widely used in all aspects of our life. Now our acrylic advertising display products are upgraded to the top level in the world, and we are one of the top acrylic manufacture in china. 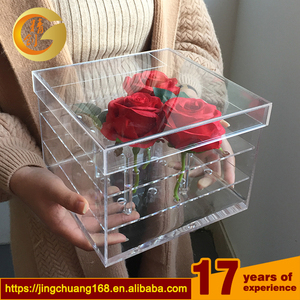 2. we can do any acrylic products base on customers' requirement, and design as per customers' idea, so to meet different customers. Our company follows all international standards trading rules and requirements. We follow international standards for acrylic products and our name is highly regarded in the industry for acrylic product manufacturing. 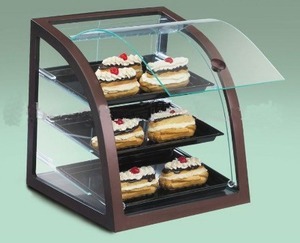 Alibaba.com offers 18,335 plexiglass display stand products. About 79% of these are display racks, 1% are plastic crafts, and 1% are other trade show equipment. 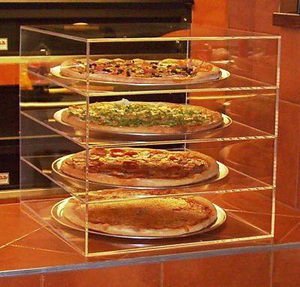 A wide variety of plexiglass display stand options are available to you, such as metal, acrylic, and plastic. You can also choose from free samples, paid samples. 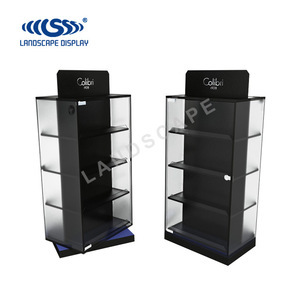 There are 18,503 plexiglass display stand suppliers, mainly located in Asia. 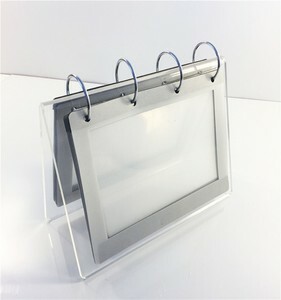 The top supplying countries are China (Mainland), Canada, and Hong Kong, which supply 96%, 2%, and 1% of plexiglass display stand respectively. 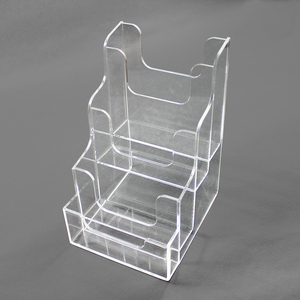 Plexiglass display stand products are most popular in North America, Western Europe, and Domestic Market. You can ensure product safety by selecting from certified suppliers, including 1,071 with ISO9001, 807 with Other, and 288 with SA8000 certification.